Distilling the wisdom of the world's greatest advertisers, direct marketing expert Craig Simpson delivers an education on direct marketing and advertising copy that creates brand awareness, sells products, and keeps customers engaged. Walks readers through time-tested methods of creating effective ad copy that increases profits. 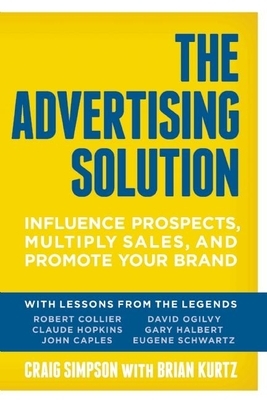 Dissects the principles of legendary marketers like Robert Collier, Claude Hopkins, John Caples, and David Ogilvy. Craig Simpson is the owner of Simpson Direct, Inc., a direct marketing firm based in Oregon. Since beginning his career in direct mail nearly 20 years ago, he has managed thousands of direct mail campaigns, helping to gross hundreds of millions in revenue for his clients. His direct marketing company sends out nearly 300 mailings per year for his private clients. He works in practically every industry, marketing everything from courses on the benefits of drinking water, to technical software, retail stores, real estate investment, financial services, health products, diet programs, insurance, and even wholesale clothing. He lives in Grants Pass, OR. Brian Kurtz has been a serial direct marketer for almost 35 years and is the driving force behind the Titans of Direct Response Conference. He writes and speaks regularly and consults with leading direct marketing companies and entrepreneurs in a wide variety of categories.